The lambdoid suture is a tissue joint that is made up of connective tissue begins at lambda and merges with the sagittal suture. Lambdoid divides the squamous part of the occipital bone and the parietal bone on the way to its oblique path. It is specifically marked superiorly as a result of its more deep and projecting serrations. Inferior towards the asterion the lambdoid suture extends as the occipitomastoid suture, which via the petromastoid portion of the temporal bone splits the lower part of the occipital squamous, terminating at the jugular foramen. The suture is horizontal towards the skull base. 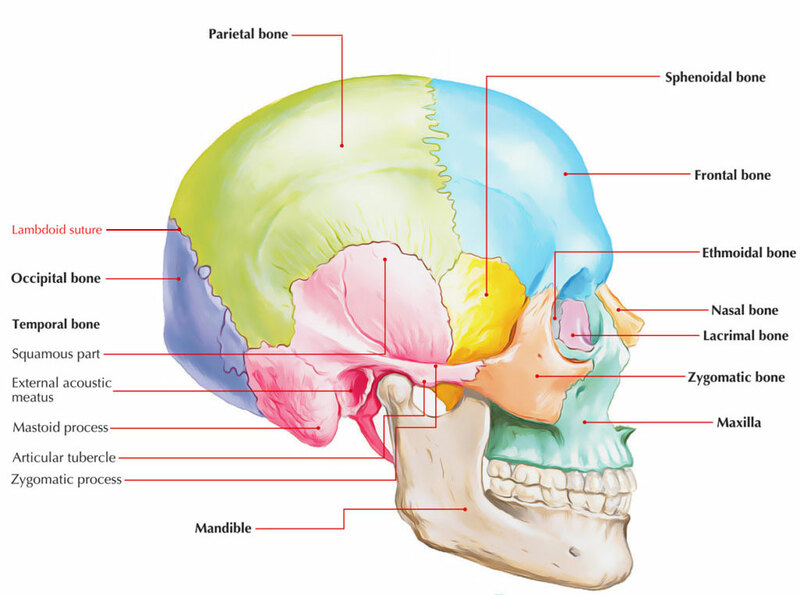 The parietomastoid suture separates the mastoid temporal portion from the posteroinferior portion, or mastoid angle, of the parietal bone. Occasionally sutural bones are present generally alongside the lambdoid suture. Inca bone is name given to a remote bone next to the lambda.